The customer service landscape is changing rapidly, but one constant is that companies focusing on high-quality customer service have a competitive edge in their market, and see positive impacts on their brand, revenue, and customer loyalty. 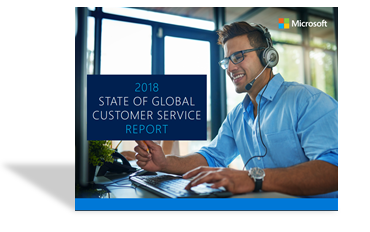 Microsoft Research surveyed consumers across Brazil, Germany, Japan, the United Kingdom, and the United States and found that customer service influenced brand choice and loyalty for 95% of participants. Great customer service builds loyalty through personalised, value-added experiences and creates brand advocates by transforming negative experiences into positive outcomes. The survey offers several insights – directly from customers – that will help you redefine the customer service experience.